Critter Litter Supplement is N.O.G.C. special blend of zeolite in an eight-pound jar for use in litter boxes and other pet cages, even birds, snakes, spiders. Safe and effective and all of God’s pets love Critter Litter Supplement because the product is made from natural ingredients which feel natural clean dirt and rock, not a synthetic. N.O.G.C. Critter Litter Supplement is Safe and effective for all pets. 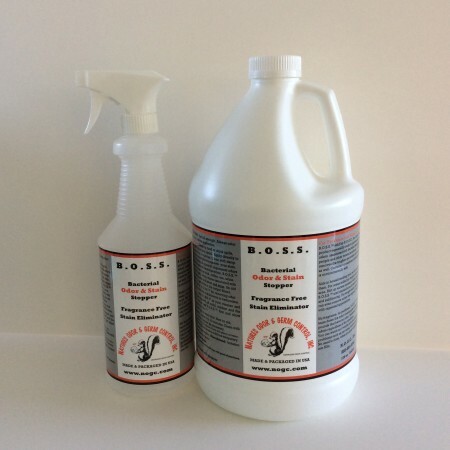 Helps eliminate pet box odors for all animals. N.O.G.C. 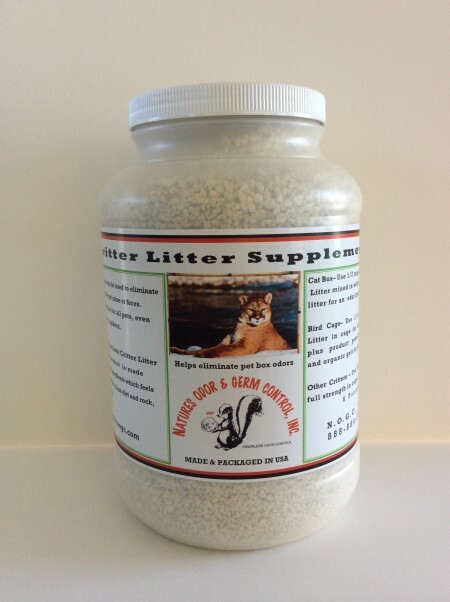 Critter Litter Supplement can be used to eliminate odors caused by pet urine or feces. Safe and effective for all pets, even birds, snakes, spiders. All of God’s critters love N.O.G.C. Critter Litter Supplement, because the product is made from natural ingredients which feel natural clean dirt and rock, not a synthetic. For cat box, use 1/2 cup N.O.G.C. Critter Litter mixed in with regular litter for an odor-free box. Approximately 32 applications in 8 pounds. For best result put N.O.G.C. Critter Litter in the bottom of the box, and litter on top. If you use the scoop away, just add N.O.G.C. Critter Litter when you add more litter. For bird cages, use 1/4 cup N.O.G.C. Critter Litter in a cage for odor control, plus product provides healthy grit for birds. For other critters use full strength in cages or pens. I got my order a couple of days ago and went to work on the litter boxes. Oh what a difference your products make. I have passed this information on to other cat lovers as well. My last order was for Household Packets, Critter Litter Supplement, Natures Air and 32 oz. B.O.S.S. I was so impressed with the products I had purchased from N.O.G.C. 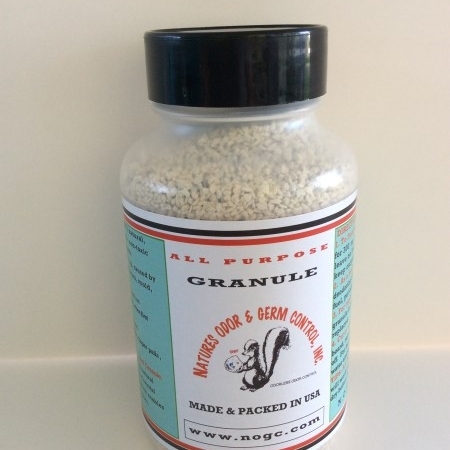 ( All Purpose Pet Powder & All Purpose Carpet Granules) that I decided I would try some others, so I purchased the Critter Litter and the Household Packs. I hung one of the packs above my cats litter box and use the Critter Litter as directed each time I clean their box.